Typical power spectral density as a function of wavelength. Please note that this is a sample spectrum and that small variations may occur from unit to unit. The fine structure seen around 2.7 μm is due to water and CO2 absorption in the beam path of the measurement setup. The sharp drop-off at 4.2 μm is also due to CO2 absorption. This spectrum was obtained without purging the laser cavity. The SC4500 is the world's first commercially available femtosecond-laser-pumped Mid-IR Supercontinuum Laser Source. This supercontinuum laser emits over a wavelength range from approximately 1.3 μm to 4.5 μm (7700 cm-1 to 2200 cm-1) with >300 mW of average output power in a collimated beam. More than 110 mW of the output power is within the 2.2 - 4.2 µm (4500 cm-1 - 2400 cm-1) range, which overlaps with many gas absorption lines and other molecular signatures. The pulsed femtosecond oscillator driving the supercontinuum runs at a fixed repetition rate of 50 MHz. The brightness of the SC4500 laser exceeds traditional Globars and even synchrotron sources by orders of magnitude. The laser cavity can be purged via a gas inlet located in the back panel of the laser head. A gas supply connected to this inlet can cause gas to flow through the internal beam path of the laser to reduce undesirable absorption lines in the environment. This gas supply should not be pressurized. The output port of the SC4500 includes a KF16 vacuum compatible flange which can be used to connect the output to other purge capable instruments or devices. The supercontinuum light is generated by pumping a dispersion-engineered indium fluoride (InF3) fiber with a high-power femtosecond fiber laser. Unlike supercontinuum lasers pumped in the long-pulse regime (picoseconds to nanoseconds), the spectrum of a femtosecond-pumped source is stable from pulse to pulse. 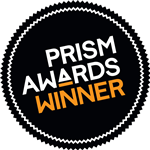 As a result, our supercontinuum laser provides a typical output noise of 0.025% (RMS; 10 Hz to 1 MHz), greatly aiding applications that require high-sensitivity detection. High brightness and low output noise make the SC4500 the ideal laser for sensing and spectroscopy applications in the Mid-IR. Applications range from environmental sensing of greenhouse gases to standoff detection in the field to spectroscopy in the lab using standard FTIR spectrometers. In addition, this laser's shot-to-shot spectral stability allows it to be used as a source of femtosecond pulses in the Mid-IR by filtering the output through a bandpass filter. An all-fiber design with proprietary fluoride-to-silica fiber splices offers robust, reliable, and maintenance-free performance. We also offer pre-assembled Herriott cells for gas absorption spectroscopy applications. More details about our mid-IR supercontinuum laser are available from Salem R, Jiang Z, Liu D, et al., Opt. Express 2015 Nov 16; 23 (24): 30592 - 30602. A sample measurement of the beam profile was taken at the center of the SC band (~2300 nm) using a bandpass filter with a 500 nm bandwidth. 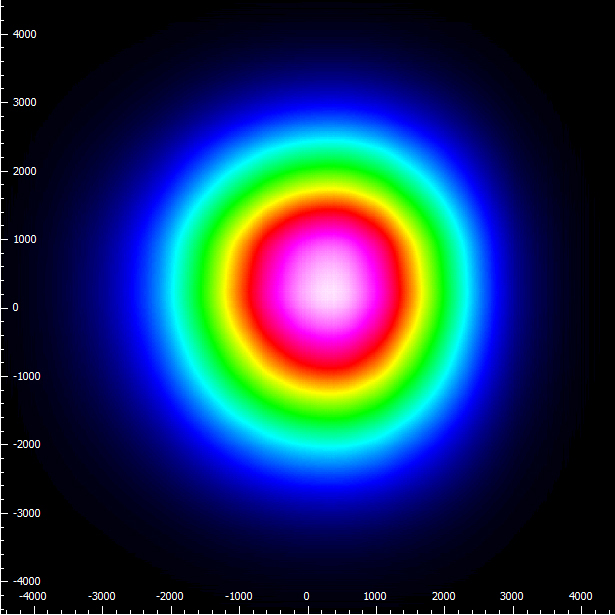 This image represents the result of a Gaussian fit which yields a 1/e2 beam diameter of 5.5 mm and a circularity of 97%.